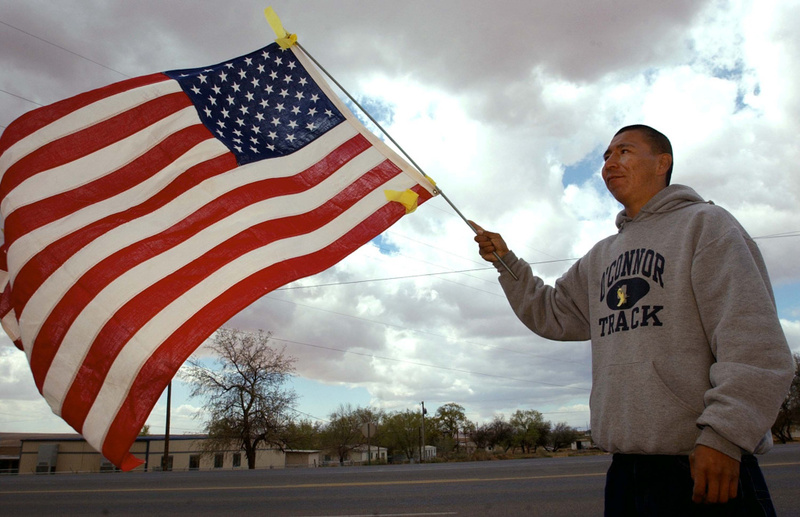 Ponyson Begay waves a flag adorned with yellow ribbons while walking down Main Street on the Navajo Indian Reservation April 5, 2003 in Tuba City, Arizona. Veterans all over the country are waiting months — and sometimes years — before they get a response to their disability claims. 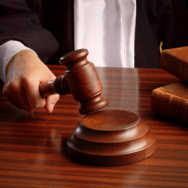 Native American veterans have had an especially difficult time navigating the federal claim system. From the Fronteras Desk in Flagstaff, Laurel Morales reports on a recent Veterans Summit on the Hopi Reservation.